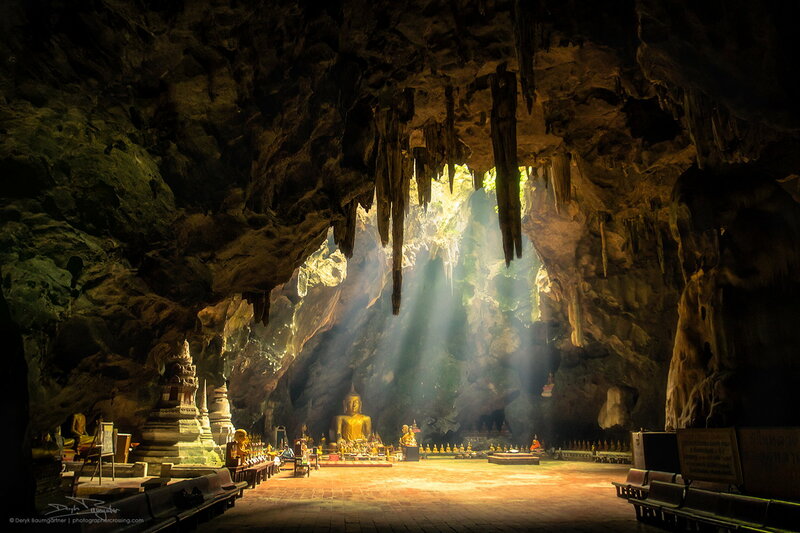 Underneath a vast cavern in Phetchaburi, Thailand lies the statue of Buddha, 12 ft in height, made vivid by the ray of light from an opening high above. It is called the Tham Khao Luang Cave and it has become a shrine for more than 180 Buddha statues and relics. 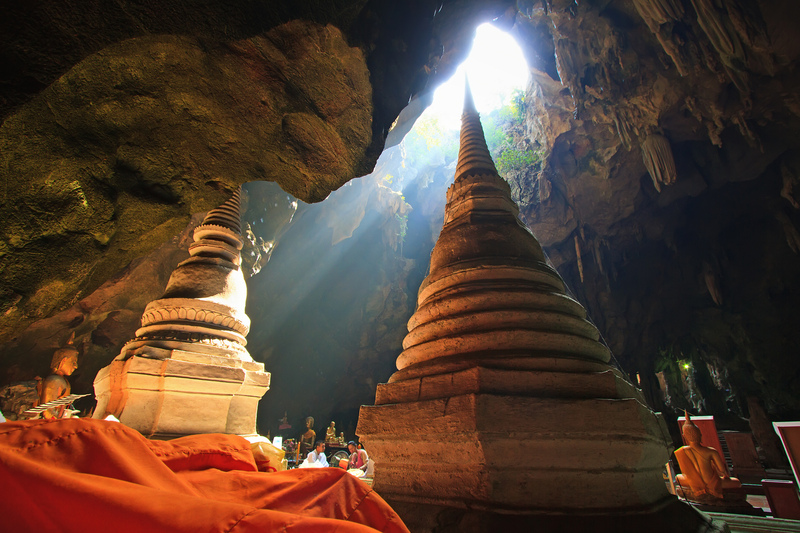 Only 3.1 miles away from the town of Phetchaburi, the cave is a multi-chambered temple that was used by the Kings of the Royal Rattanakosin Dynasty. The casting of the statue was ordered by King Rama V. He did this to honor his predecessors, King Rama IV and King Rama III. On the opposite side of the main Buddha statue, a row of numerous smaller versions of the statue sits atop a rock-sewn platform. The other statues are more inconspicuous, waiting to be seen in the niches and narrow chambers. Some are ornamented with real auburn drapes over the body. From within the main chamber, one can go into the second chamber that is separated by a stone gate, believed to have been built by Rama IV to guard the inhabitants within it. There are also three more chambers inside. 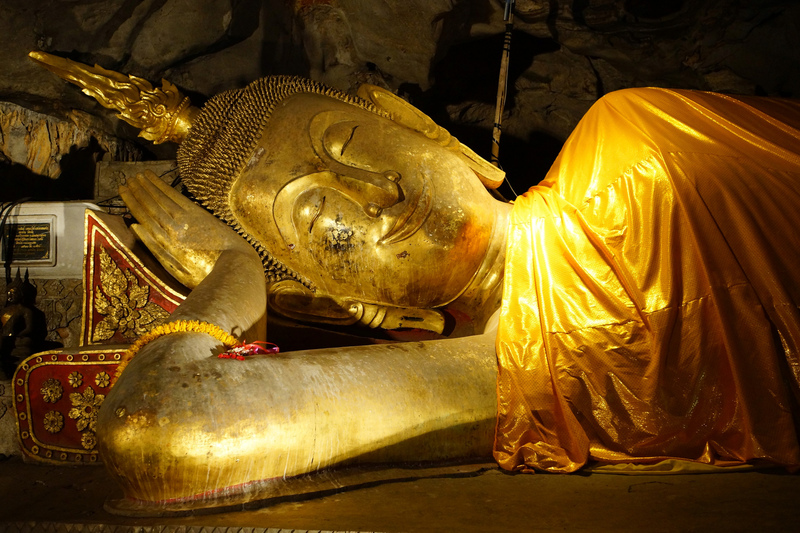 The third chamber houses a statue of a reclining Buddha that is 16 ft in length, believed to symbolize life and death. The cave chamber is around 90 feet below ground level. To reach the main entrance, one needs to walk up a hill and a guided path from the parking lot, and then descend a steep flight of concrete stairs. 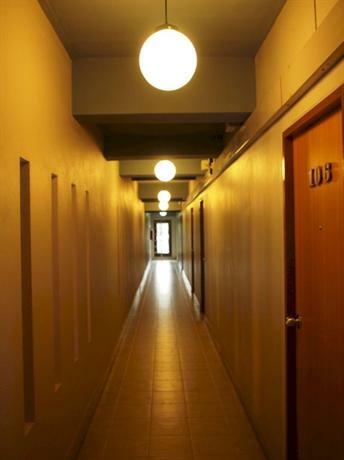 The travel distance is only a short 164 feet. Originally, there are two entrances, but in 2012 the other one was closed off. It is also said that there is an adjacent cave that contains an enormous 300 year-old tree. The travel direction of Tham Kao Luang Cave starts at downtown Phetchaburi. From the town center, turn right at Phra Nakhon Khiri Historical Park . Continue on for another 3.1 miles until reaching the car park at the top of the hill. If travelling without a private car or car rental, visitors can hire a taxi or a motorbike. Commuting is also simple. From the main post office, go to the minibus station. 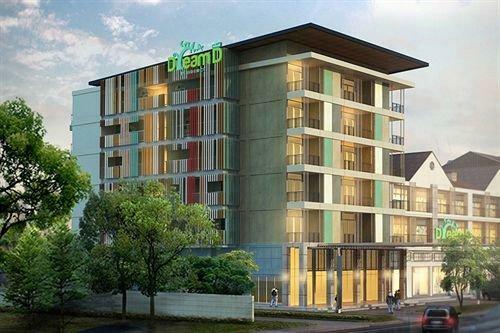 Inform the ticket seller of the destination, which is Tham Khao Bin going to Amphoe Chom Bueng. The bus ride takes around 20 minutes, and the drop-off point is along the main highway. Take another 1.2 miles walk going to the cave opening. The best time to visit is in the morning, where the sun’s rays are brightest. 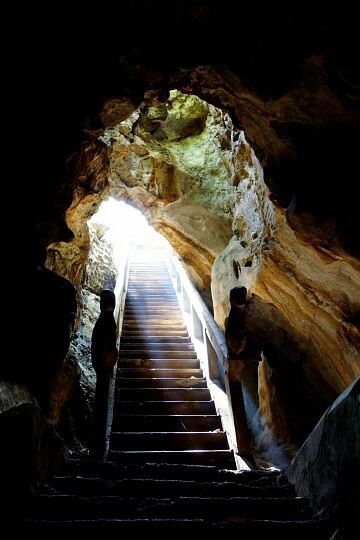 The cave opens at 7:00 AM daily and closes at 6:00 PM. The entrance to the cave is free. Be prepared for monkeys that are lingering along the path. 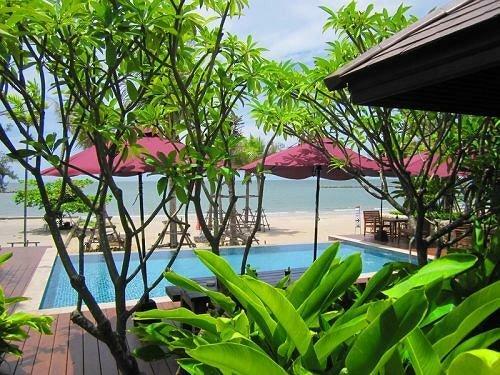 It is strongly advised to leave any food item behind as the monkeys are only seconds away from snatching them. Numerous food stall vendors are situated in the parking lot. They will keep an eye on the tourist vehicles and ward them off from monkeys in exchange for a small tip or food purchase. There’s also a playground nearby. The attraction is not friendly to senior citizens because the stairs can be perilous for them. Hence, when travelling with an elderly member in the family, this destination is not advised. The cave floor can also be covered in mud, so proper footwear should be used. There are women assigned to serve in the maintenance of the cave. Offerings for the statues can also be bought from them. 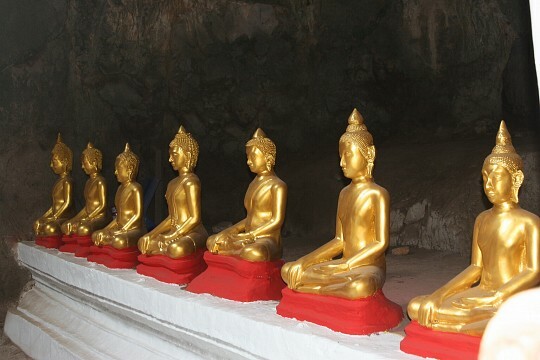 Guests can also hire an English-speaking tour guide for ฿100 ($3.10), to narrate the history of the place, describe the identity and significance of the Buddha statues, as well as point out the different formations of the stalagmites and stalactites. Photography enthusiasts will have a lot of frames to post after finishing the trip. Souvenirs are also available at the cave entrance. 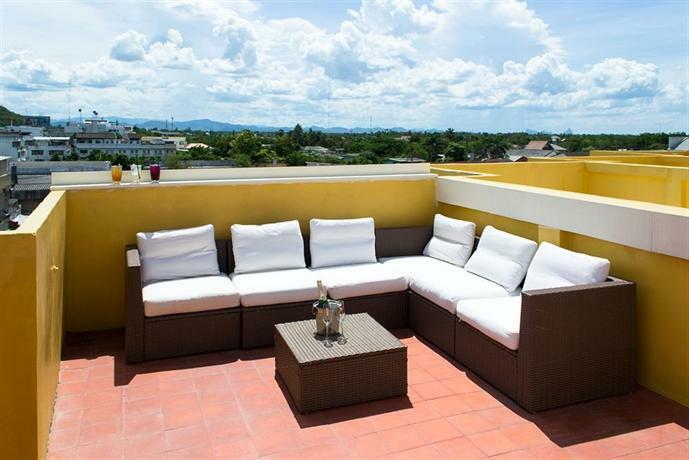 Phetchaburi is a town known for its sweet delicacies, using Tanot, or palm sugar, as an ingredient. Some of these include Mo-kaeng, A-lua, and Sampanni. Khao Chae is a dessert made of sweetened meat, rice, and ice, and is popular during the summer season. 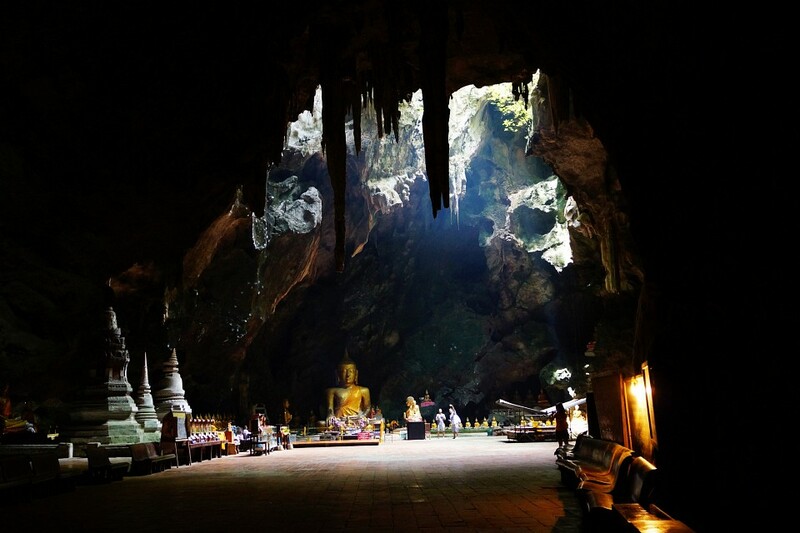 The tour to Tham Kao Luang cave is usually packaged with a tour to Hua Hin, a well-known beach resort. 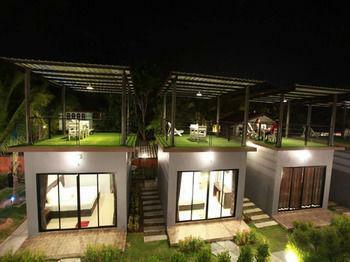 There are many other attractions that Phetchaburi can offer. Phra Nakhon Khiri Historical Park is a palace high up the Khao Wang Hill. The Phra Ramrajnivet Palace is also a historical site near the Army camp. There are also many temples to fall by, such as the Wat Khao Bandai It and Wat Tham Khao Luang. Another enjoyable activity is rafting along the Phetchaburi River. It passes through Kaeng Krachan National Park. The travel by land takes around three hours, to reach the starting point in the river. The white water rafting route takes around 5 hours to complete.